DENVER, Col. – As Office Evolution continues along its strong growth trajectory, the leading coworking space franchise continues strengthening its customer service experience. In its latest initiative, the brand expanded its partnership with virtual office solutions provider Davinci to outsource all live reception and live answering services for its corporate and franchise-owned locations. 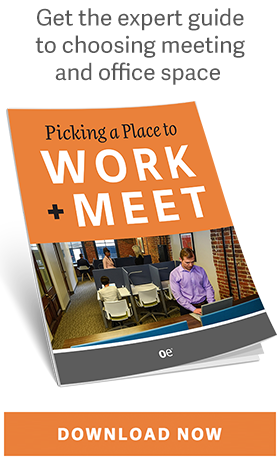 Office Evolution is a Colorado-based national B2B franchise offering co-working spaces, virtual office services and fully furnished offices and suites. The company built and successfully operated seven business centers across the Colorado Front Range before beginning to franchise in 2012. To date, they have awarded 129 franchise locations throughout the United States. Please visit www.officeevolution.com for more company information. For more information on Office Evolution’s franchising opportunities, visit www.officeevolutionfranchise.com or call 877.475.6300. Davinci Virtual Office Solutions was founded in 2006 and is headquartered in Salt Lake City, Utah. For the past decade, the company provided virtual office solutions to over 40,000 companies and entrepreneurs throughout the U.S., Canada, Europe, Central America, Africa, Asia and Australia. Clients can obtain prime business addresses, on demand meeting & work spaces, live web chat services and live receptionist services – instantly – with the click of a button. For more information please visit www.davincivirtual.com or www.davincimeetingrooms.com.